UNITED NATIONS, Feb. 22 (Xinhua) -- The UN Security Council has condemned "in the strongest terms" the "heinous and cowardly" attack in India-controlled Kashmir against Indian forces last week. In a press statement on Thursday, the council members reaffirmed that terrorism in all its forms and manifestations constitutes one of the most serious threats to international peace and security. They underlined the need to hold perpetrators, organizers, financiers and sponsors of these reprehensible acts of terrorism accountable and bring them to justice. They also urged all states, in accordance with their obligations under international law and relevant Security Council resolutions, to cooperate actively with the government of India and all other relevant authorities in this regard. "Any acts of terrorism are criminal and unjustifiable, regardless of their motivation, wherever, whenever and by whomsoever committed," the statement said, reaffirming the need for all states to combat threats to international peace and security caused by terrorist acts. UN Secretary-General Antonio Guterres has also condemned the attack. On Feb. 14, a suicide blast in Pulwama in Indian-controlled Kashmir left 40 paramilitary troopers dead. The Jaish-e-Mohammad (JeM) militant group has claimed responsibility for the bombing. 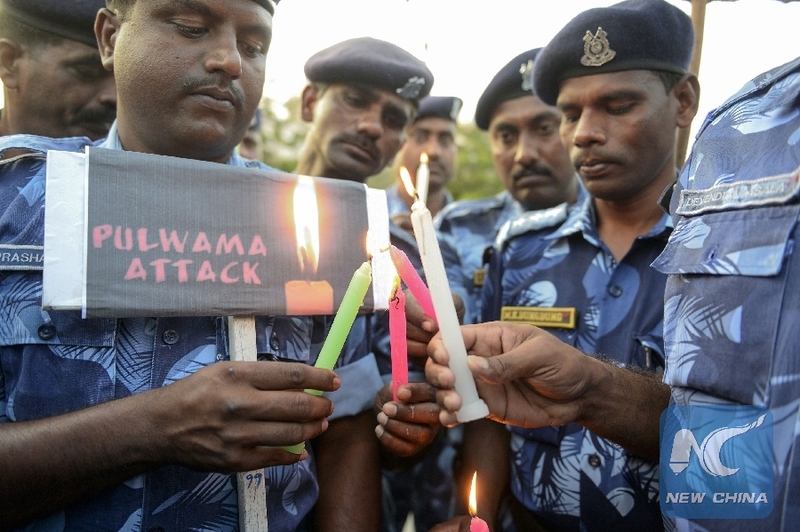 On Tuesday, Pakistan offered to cooperate with India in investigating the attack. Islamabad also sent a letter to Guterres, seeking his help to reduce the tensions between the two countries. That attack was the worst against Indian forces in the history of the restive region, where rebels have been fighting Indian rule. Since independence from Britain in 1947, Pakistan and India have fought two wars over Kashmir, which is divided between the two but claimed by each in its entirety.